Mobile Web Enabled Devices From any mobile web enabled device you are able to login and access your account. Here you will be able to enjoy the features and benefits of your Stolen Vehicle Recovery + Family Safety System. 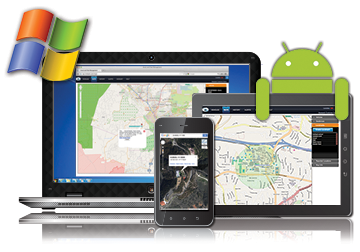 Just like your desktop, you are able to gain access to real-time vehicle tracking information along with the vehicle’s Historical Reporting and Alerts.